Summertime’s in full swing and if one thing is for sure keeping your pets entertained can be challenging! Young or old they all need something to stimulate their brain and work out any excess energy. Summertime’s in full swing and if one thing is for sure keeping your pets entertained can be challenging! Young or old they all need something to stimulate their brain and work out any excess energy. There are all sorts of fun options for every dog and cats needs! Treat Puzzles can be one of the best forms of entertainment for you and your pet! These toys can help keep your kids engaged and out of trouble. Both dogs and cats are natural problem solvers and they love figuring things out. They can work their way through various puzzles by nuzzling, batting, pawing, pushing, or even flipping things on the puzzle to get to their treasure. Puzzles come in various levels of difficulty so your furry friend can work their way through them all. 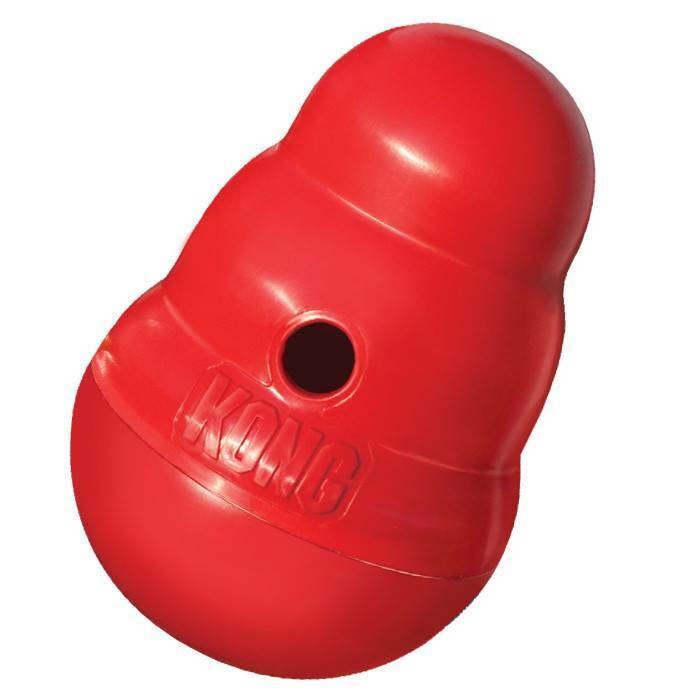 Other fun toys to keep your friends from boredom are any of the treat balls and kongs! These can be especially good for any tough chewers! They are designed to be stuffed so it engages your pet and can be used for quiet time or even to feed your dog if they tend to eat too fast. We recommend stuffing with either your pets dry or canned food, pumpkin, peanut butter, yogurt or our favorite veggies sealed with peanut butter. They eat the peanut butter and then receive a jackpot of green beans. Being creative will keep their interest longer from day to day. If you freeze the toy after you stuff them it will make the play time last even longer. Bones, bones, and more bones! These are not only excellent for cleaning their teeth but will really help to exercise your pet and keep them busy! Marrow bones are a wonderful choice for entertaining because you can also stuff them with all the great things we mentioned above. And don’t forget you can freeze these to for longer lasting fun! Remember a tired dog is a good dog, but a quiet one is always into something! If you give your dogs things like this it will especially help those with more destructive tendencies! Don’t forget about your feline friends they love enrichment as well. And of course are natural hunters at heart.